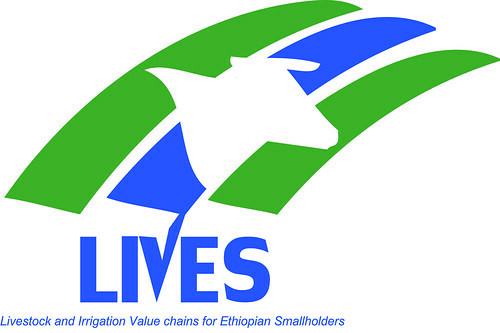 The Livestock and Irrigation Value Chains for Ethiopian Smallholders (LIVES) project aims to support the efforts of the Ethiopian government to transform smallholder agriculture in the country. Using a value chain development approach, LIVES has implemented various interventions using the pillars of knowledge management and promotion. 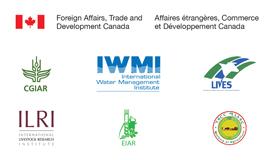 The project has used different knowledge management and promotion approaches including agricultural knowledge centres, study tours, field days, commodity platforms, technology demonstrations, campaigns, and exhibitions and fairs with different but complementary objectives, to address different target groups at different levels. Agricultural knowledge centres have supported organizational learning of public extension services by improving access to knowledge and developing capacity for knowledge capturing and sharing. Study tours have been used to motivate and influence value chain actors and support systems to adopt or support livestock and irrigation value chain interventions through exposure to external knowledge and experience, while field days promote and spread innovations in communities by demonstrating effects of intervention in households. Commodity platform meetings operate at different levels, and are mainly used for planning interventions. At the operational level, they have promoted interaction, shared knowledge and created linkages among value chain actors for new business opportunities and at a higher level, they have brought key value chain bottlenecks to the attention of policymakers. A range of promotional activities have also been implemented by the project; among them technology demonstrations, school milk days, and technology exhibitions and fairs. A number of livestock and irrigation technology demonstration events have been held in LIVES sites which have helped value chain actors learn first-hand the benefits of using specific improved technologies and practices. Among the technologies that have been promoted and adopted by producers and input and service providers include livestock feed choppers and balers. The project has facilitated linkages between farmers and the suppliers of these technologies. Additionally, participating in campaigns such as the ‘World School Milk Day’ has created awareness about, and demand for, milk consumption particularly among children. These campaigns have also brought together a wide range of actors ranging from policymakers, dairy producers, input and service providers, milk processors and marketers, dairy cooperatives, community leaders and the media. At the same time, technology exhibitions and financial fairs have supported the creation of linkages and business partnerships among value chain actors. In most of the cases, LIVES has demonstrated technologies in events organized by other stakeholders or co-organized such promotional events. Particularly, cattle fattening fairs have been uniquely initiated by LIVES and implemented in collaboration with private and public partners mostly in the Amhara region. 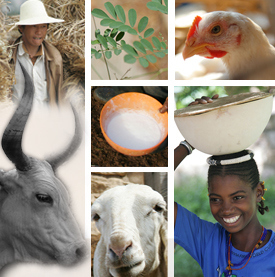 The events have benefited cattle fatteners, animal traders and policymakers. Each of these knowledge management and promotional activities has its strengths. In terms of cost effectiveness and influencing at the community level, field days, technology demonstrations and product fairs have been found to be the best options. Study tours are effective in creating motivation and demands for adoption of improved technologies and practices but are, however, expensive and they require significant organizational and facilitation capacity. Commodity platforms, exhibitions and fairs have also been effective in creating awareness, interactions and exchanges among value chain actors and support systems. Linkage facilitation among value chain actors for exchanges of ideas, innovations and new business opportunities has been key outcome of LIVES sharing and promotional events. Gender inclusiveness has also been a key feature of LIVES knowledge management and promotional activities. Field days have engaged women at the community level (about 21% participation) in LIVES intervention districts. In commodity platform meetings, despite the efforts to involve women, their participation in such meetings has limited (about 17% participation). In contrast, women focused study tours organized in nearby sites have involved more women and couples (about 23% female participation). But there are challenges in engaging women in study tours that require travelling long distances especially when no other family members are available to take up household responsibilities during this time. The project team has found that involving couples and married women in long distance experience sharing visits which keep them away from their homes for more than a day distrusts their day-to-day life and affects participation. Consequently, couples and married women are now encouraged to join events organized close to their villages, such as field days, technology demonstrations and community-based product fairs. In addition, married women selected for experience sharing visits that involve more than a day’s travel from their homes are encouraged to involve and consult their husbands on the benefits of participating in such learning events. In many LIVES sites, partners have adopted some of the successful knowledge management and promotional approaches. In West Shoa Zone, for example, partners in the district have organized field days and study tours to LIVES intervention households. Local NGOs have also organized study tours for producers and extension staff from domain districts to intervention households, and input and service providers. In addition, most of the intervention districts’ teams have mobilized resources, such as computers, furniture and internet subscriptions, to set up knowledge centres. In Amhara, the cattle fattening fair initiative has been taken up by the regional government, while in Oromia, commodity platforms have been supported by the regional government. LIVES experience in organizing and facilitating learning and sharing events has given valuable lessons than can inform the scaling out process of successful interventions. Firstly, no single approach is best. A combination of different approaches with appropriate sequencing of learning and sharing activities should, therefore, be used. Secondly, appropriate targeting and selection of participants particularly for study tours is important. Study tour participants should be those producers and input and service providers who are already engaged, or are likely to engage, in specific value chain activities. Thirdly, successful learning and sharing events require a basic level of organizational and facilitation capacity. Clearly articulating learning outcomes and tailoring learning activities in terms of how knowledge will be applied practically is key in maximizing investments in learning and sharing events. In addition, follow-up activities help in ensuring knowledge gained is used and actions proposed are taken up and linkages created. Finally, organizing learning and sharing events with lasting impact requires the support of the actors likely to play a role in the application of knowledge gained. Tags: communication, learning. Bookmark the permalink.